Acme Fire & Safety Botches a Fire Alarm Verification in Burnaby! A Fire Protection Technicians Burning Brick Award Nominee! 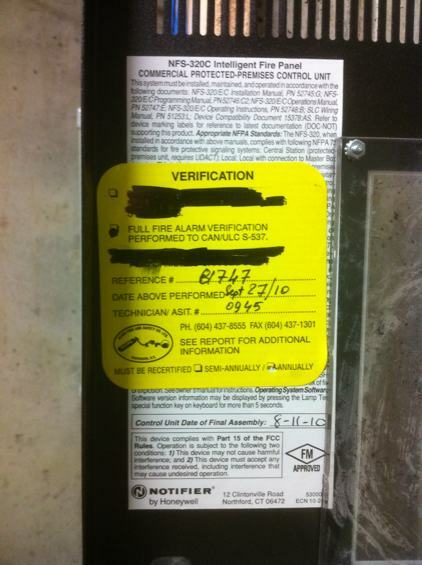 Acme Fire and Safety Ltd. - Bogus Fire Alarm Verification! I can't say that I ever have a boring day at the office! 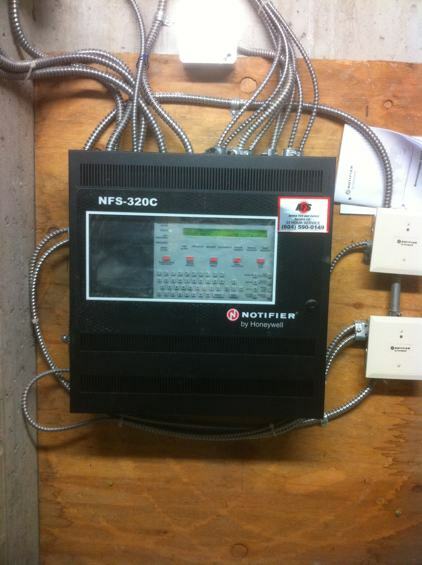 As it turns out, this Notifier (by Honeywell) NFS-320 "octopus" wasn't just another AFS (Active Fire and Safety) disaster. Read on! The BX entering at the lower left of the enclosure in the picture above turns out NOT to be the system's 110 VAC power. That was, instead, routed into the top of the enclosure in the same knockout as the systems SLC loop (data communications) via a double BX connector (at the centre of this next image). 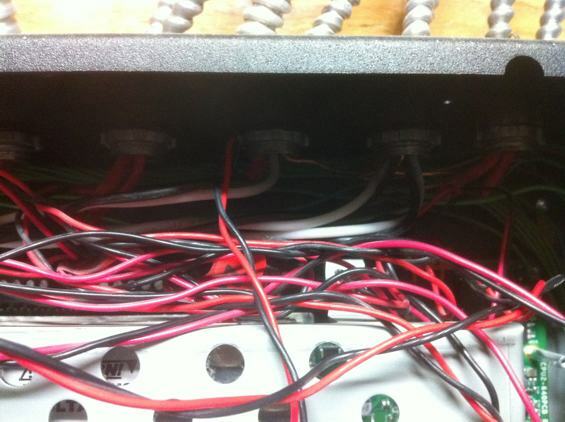 This tangled mass of wire comprises the data communication loops, bell circuit wiring, and high voltage AC. Nice, huh? The Acme Verification label states the system has been tested (verified) to CAN/ULC-S537. Acme employs technicians that are supposedly "factory trained" on Notifier systems. For Mr. Karan's (that's the individual whose name appears on the Verification certificate) benefit, I'd like him to refer to page 28 of the NFS-320 installation manual (particularly Figure 3.12) and to CAN/ULC-S524-01 (Canadian Fire Alarm Installation Standard) which states in Sentence 3.4.9: “Field wiring entry points for the various circuits and required circuit separations, shall be in accordance with the manufacturer's installation instructions”. It's quite obvious to me that Mr. Karan missed (or fell asleep during) the part of the "factory training" that focused on the panel's INSTALLATION. He also clearly missed the part about not covering over or otherwise defacing the panel's certification label. There were several other oversights and errors we picked up on in our review of the documentation Acme provided (and brief survey of the installation). For one thing, the required testing of the Data Communication Loop (DCL) was, in fact, checked off "NA". "NA" means "not applicable". This is an analogue system employing addressable devices and the technician felt the testing of the DCL was not applicable? 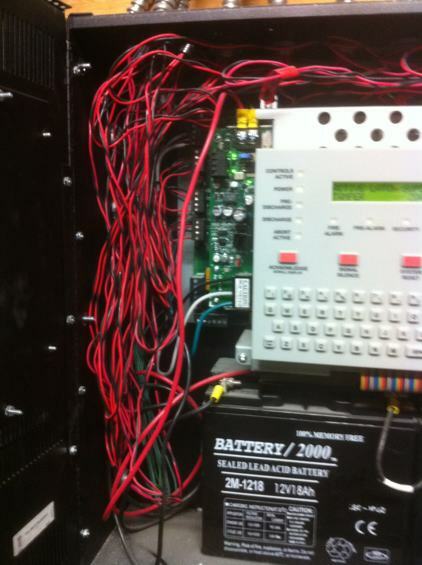 Two burning questions carry over from a similar incorrectly installed (and verified) Potter fire alarm system: How many more installations like this are out there? and What else is wrong with this particular installation? We've referred the matter to Burnaby's Electrical Inspections Department, the Burnaby Fire Department, and Brian Stegavig at ASTTBC. Our Latest Editorial (May 2012)!